Google’s Android mobile operating system is continuing to dominate smartphone sales, particularly in the UK, where the platform now powers almost half of all smartphones sold, according to rearch firm Kantar Worldpanel ComTech. Google’s Android has become the most used OS in the UK after increasing its market share by 35.1% to 44.9% in the 12 weeks ended 15 May 2011. 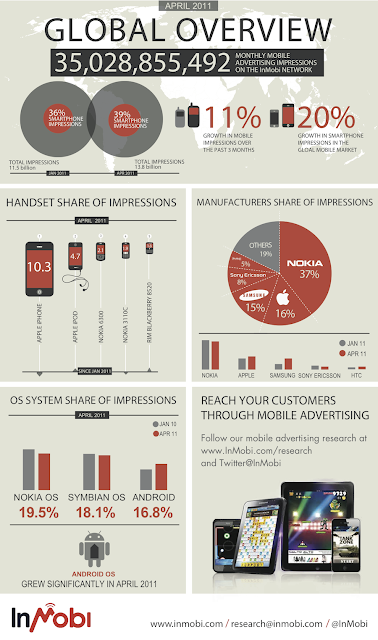 Nokia’s Symbian platform fell from 21.4% to 10.6% in the three months leading up to May 15 2011. According to figures released today (13 June) from Kantar Worldpanel, the popular operating system now accounts for just under half of UK market sales, and is also number one in Germany, France, US, Australia and Japan. Also claiming top spot in the US, Germany and France, Android has been able to steal away customers from Nokia’s Symbian OS, which has shrunk from 31% in 2010 to just 10% this year.